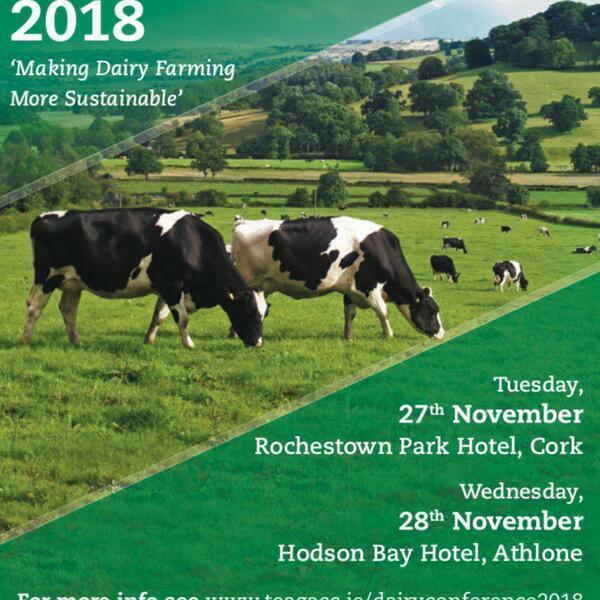 Tom O’Dwyer joins us to preview the National Dairy Conference that will take place in on November 27th in Rochestown Park, Cork and 28th in Hudson Bay, Athlone. Tom explains that the title of this years conference ‘Making Dairy Farming More Sustainable’ will take a holistic view of farm business, exploring the economic, environmental and social sustainability of dairy farm businesses. There is an opportunity to reflect on the spring and summer of 2018 and the impact the two seasons had on your farm business. A full session will be devoted to the management of the non-replacement dairy calves. Natalie Roadknight from the University of Melbourne will draw on her experiences of the Bobby calf industry and give opinion on the lessons learned while experts from the Irish industry will put strategies in place as to how we can maximise calf value from an Irish perspective. In the afternoon, participants can select three of six workshops; varying from grassland, contract rearing to managing workload and making the dairy farm a better place to work.